Google Pixel XL Price, Review, Deals, Cost, & Sales! Home / Compare Cell Phones / Google Pixel XL Price, Review, Deals, Cost, & Sales! 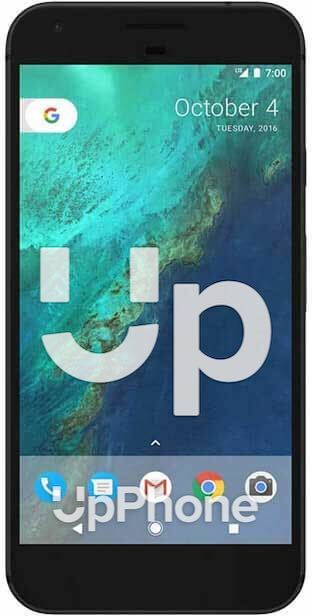 The Google Pixel XL is the big brother of the Pixel model packed with a few upgraded features to suit the demands of a larger phone. It is equipped with a 5.5" AMOLED screen with 1440 x 2560 resolution and is protected by Corning Gorilla Glass 4. While the smaller Pixel has a 5" AMOLED screen with 1080 x 1920 also with Corning Gorilla Glass 4. It comes with a 12.3 MP f/2.0 aperture rear camera that is capable of recording 4K videos @ 30 fps. It also has an 8 MP front f/2.4 aperture camera that is able to record HD videos @ 3 fps. Google did a great job with the camera as the image quality is very good. For the onboard storage, it comes with a 32/128 GB with no support for expansion. The Pixel also has the same storage capacity without expansion slot either. The Pixel XL has a single downward-firing speaker located at the bottom. The location is prone to get blocked but performance is good and very loud. This phone has a rear-mounted fingerprint reader and it works really good. It is very fast and is mostly accurate. This device runs on Qualcomm MSM8996 Snapdragon 821 with Quad-core (2x2.15 GHz Kryo & 2x1.6 GHz Kryo). Performance is magnificent and is able to handle multitasking really well without slowing it down. The Pixel also has the same chip and performs just as well. Powering the device is a huge 3450 mAh battery. It can handle conversations for up to 32 hours over 3G network, music play for 130 hours, and standby time for 553 hours. It also supports fast charging but not wireless charging. The Google Pixel XL and Pixel is the first flagship phone from Google but was manufactured by HTC. This device has a glass back plate that covers almost half the back panel. It supports Google's Daydream View Headset which is the company's platform for Virtual Reality applications. It does not have an expansion slot.